Ohsweken, Ontario – January 20, 2014 – The Canadian Motorsports Expo is a sure sign that race season is on the horizon. Ohsweken Speedway will have a booth at this year’s CME in Mississauga, Ontario on February 7th, 8th, and 9th. A complete car will be on display from Ohsweken’s new 602 GM Crate Engine powered Sprint Car division, along with a Corr/Pak Merchandising 360 Sprint Car from Team Turner Racing. A one hour information seminar will also be held for those interested in learning more about the new Crate Sprint Car division. Ohsweken Speedway’s management team wishes to thank the many people who attended rules meetings, and provided feedback. Official 2014 rulebooks for all divisions is now available at the following link: http://ohswekenspeedway.ca/?page_id=325. 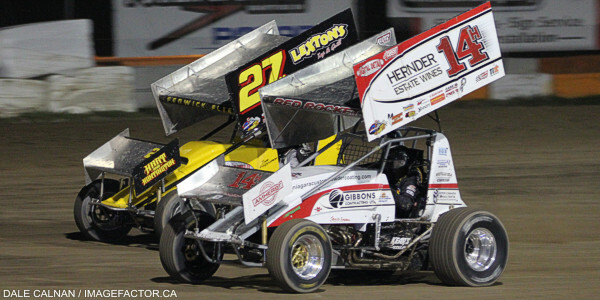 Ohsweken Speedway thanks the following sponsors for their support: Arrow Express, Corr/Pak Merchandising Inc., Renway Fuels & Lubricants Heating & Cooling, O’Neil’s Farm Equipment, McDonald’s Restaurants of Paris & Brantford, Nathan Ackland State Farm Insurance, Klotz Canada Synthentic Lubricants, Burger Barn, Affordable Towing & Recovery, HRW Automotive, and Gale’s Auto Aftermarket.